 Iran, April 14, 2019 - On Saturday and Sunday, agents of the Iranian regime’s Ministry of Intelligence and Security (MOIS) arrested a number of individuals taking part in recent protests seen in the past few days, along with numerous relief workers voluntarily providing independent support to the flood-hit areas, all out of their own pockets. A number of these individuals arrested were involved in erecting flood barriers and providing support for those in flooded areas. On Wednesday, news of at least four such volunteers, who are providing independent support to the flood-hit areas, was heard around the city of Ahvaz, capital of the oil-rich Khuzestan Province. On Saturday, a number of Ahvaz locals were arrested after taking part in a demonstration in the Kuye Alavi district. On Saturday, a regime official involved in internet censorship in the city of Ahvaz reported the arrest of 24 civilians who were posting news about floods in Iran on the internet, sharing the truth about the scope of the disaster and the regime’s treasonous approach during this catastrophe. During the past two days the city of Ahvaz, including the districts of Sheelangabad, Kuye Alavi, Eyn Do, and Malashiyeh have witnessed popular protests by Khuzestan locals furious over the regime’s policies and refusal to provide any aid to flood-hit areas. The people were chanting against the treasonous approaches adopted by the mullahs’ regime in general and the Revolutionary Guards (IRGC) specifically. Despite having the necessary equipment and other assets in Khuzestan, regime officials have not lifted a finger to save the lives of the locals and/or prevent the massive destruction caused by the recent floods. In Malashiyeh, the presence of former IRGC Basij chief Mohammad Reza Naqdi resulted in a massive protest by the locals who have seen their lives destroyed by the floods. Fearing an escalation of popular protests and waves of anger erupting, the mullahs’ regime in Iran has resorted to dispatched IRGC, Basij and state police units to the streets of various cities in Khuzestan to enforce a climate of fear and quell any possible protest. The ruling mullahs have even ordered their proxies in Iraq to send units into Iranian soil to assist in the crackdown.